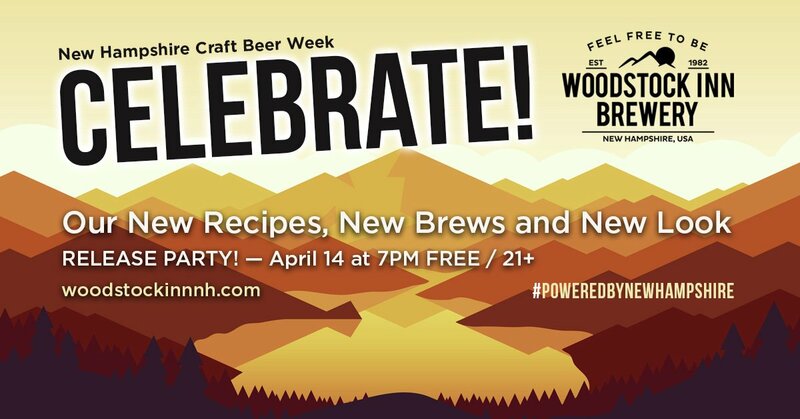 Join us as we celebrate NH Craft Beer Week with our own Release Party. We’re super excited to invite you to join us as we reveal our new look, new brews and new recipes. It’s going to be a great time and would love to have you as part of the celebration. Our new design has been called contemporary, clean and even a little cheeky (all of which we agree with). We’ll be rolling out 23 new designs so be on the lookout at your favorite store or bar. And as always, we promise that every batch is made with "100% New Hampshire". So don’t miss out! Book your room now by calling 800.321.3985.